The EU is making a last-ditch effort to rescue the landmark Ceta trade deal with Canada after Belgium’s Wallonia region rejected a Monday deadline. “It won’t be possible to respect this ultimatum,” Walloon Parliament Speaker Andre Antoine told RTL radio. European Council President Donald Tusk is expected to inform Canada late on Monday whether the Ceta signing can go ahead on Thursday. Belgium needs Walloon support to sign Ceta, which the rest of the EU backs. The Comprehensive Economic and Trade Agreement (Ceta) is the EU’s most ambitious free trade deal to date. It would remove nearly all tariffs in trade between the EU market of 508 million people and the world’s 10th biggest economy. A signing ceremony has long been planned for Thursday in Brussels, with Canadian Prime Minister Justin Trudeau flying in for it. But Wallonia’s objections have put those plans on hold. Canadian Trade Minister Chrystia Freeland was bitterly disappointed on Friday when talks broke down and she flew home. Wallonia, a staunchly socialist region of 3.6m people, wants stronger safeguards on labour, environmental and consumer standards. Its fears echo those of anti-globalisation activists, who say Ceta and deals like it give too much power to multinationals – power even to intimidate governments. There have also been big demonstrations in several EU countries against Ceta and the TTIP trade talks between the EU and the US. The European Commission negotiated the massive Ceta text agreed with Canada in 2014, and on Sunday it presented a new clarification to Wallonia on the proposed procedure for settling disputes with investors. The rules for trade arbitration are one of the thorniest issues in the deal. 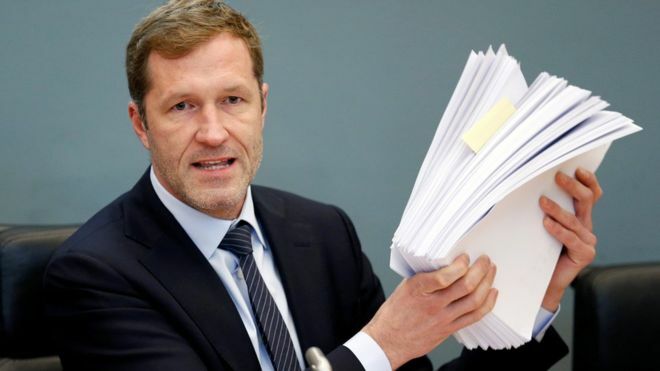 Belgium’s RTBF news reported (in French) that the latest EU document did not satisfy the Walloon politicians. Canada and the EU would eliminate 98% of tariffs under Ceta, which was negotiated over five years between 2009 and 2014. Supporters say this would increase trade between them by 20%, and would especially help small businesses. Critics say the deal threatens product standards and protects big business, allowing corporations to sue governments.